My husband has allowed me to gradually introduce some of the forbidden items back into his diet. What I have missed most, is garlic. 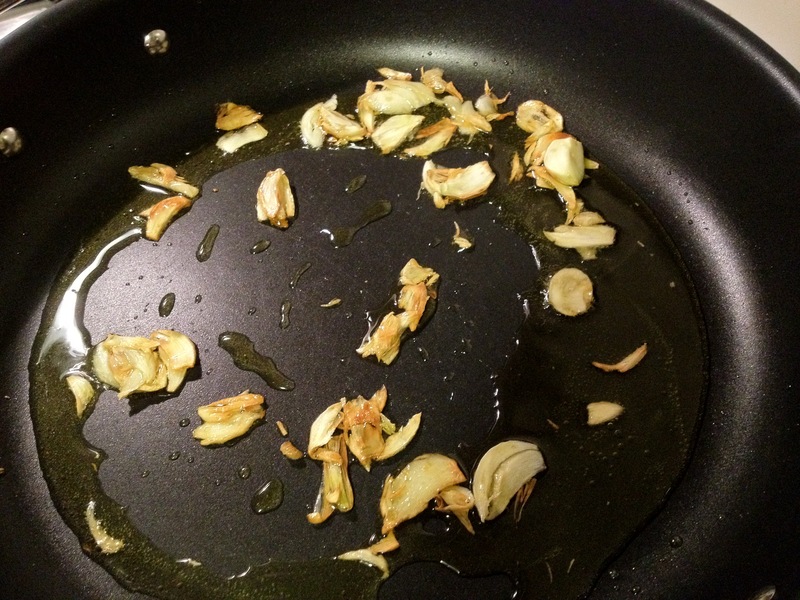 So I got to sauté some garlic for some escarole recently and truly, I was over the moon!! Just look at how pretty it is. I’m convinced that if the onions and garlic are well cooked, they won’t bother his acid reflux condition. And, if they’re made with love. Yay for Yale! I live 20 minutes away, he can take weekend breaks at my house at the beach. Thanks!!! He will probably be coming back to the city a lot – his girlfriend will be attending NYU for her PhD program in Comparative Literature.